I’ve been working on a new game for the last 3-4 months and finally a playable version on the game is finally released. The original idea for this first iteration improved quite a lot as a I was play-testing it so I skipped a minor version number to 0.2.0. Right now, I’m strong in the need of any kind of feedback I can get , so I’ll be grateful to anyone tries the game and lets me know what they think. You can follow the game’s development and download the demo here, also you can play a web version here. This is a plyable early demo ( you can call it alpha or pre-alpha) of Bacteroids. It has some basic functionality that I want to test like movement, evolution, and waves. 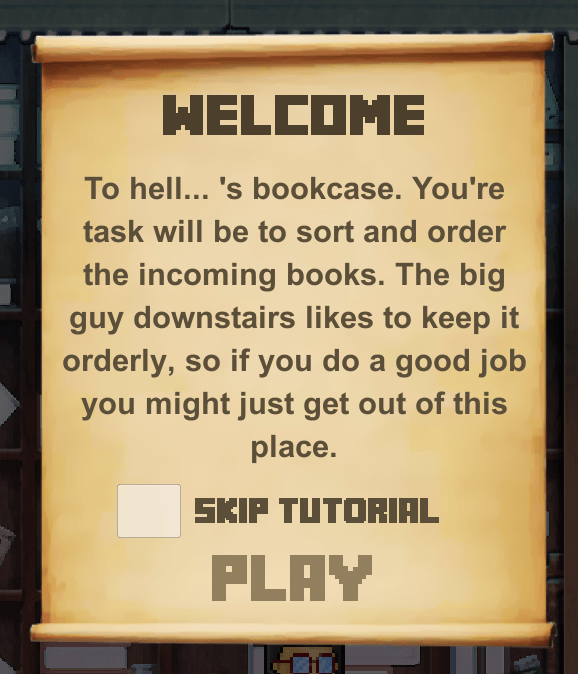 It also has some basic tutorial. I’m still continuing to develop it, in fact I plan to focus on gameplay in the next months and dish out new version more often. It’s by no means a complete game. It ‘s not bug free – probably still has some bugs (although I tried to fix most I found). I’ll appreciate it if you guys, have a look at the demo and let me know what you think. I’ve added a lot of new stuff since I last posted news about the game. Most of them have to do with visuals, which is not my strength. I redesigned and redrew the character, going for a more pixel-arty style. I also added a couple of simple animations to help he from dragging here feet through the floor when she gets too low. I also redesigned the starting screen, and changed the font to make it more readable and more in tune with the main character. 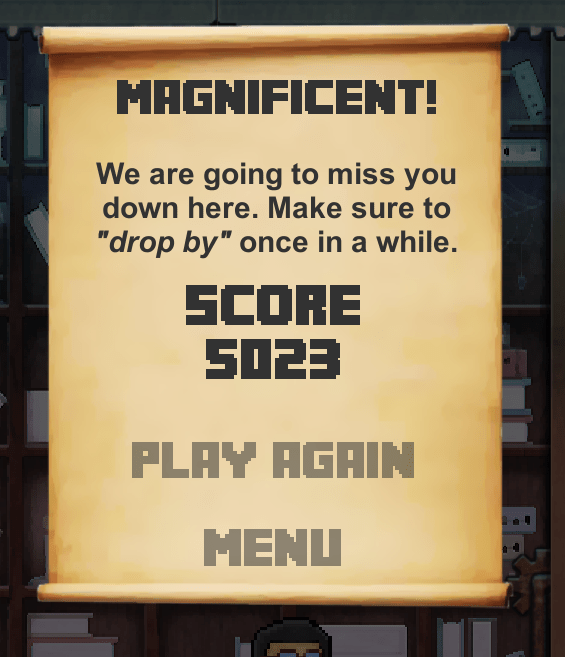 And last but not least, I added some reassuring feedback when you comlpete a stack. Besides the pleasan *ding* you here, you also get congratulated on the quality of your stack (by the “big guy downstairs”) and can see all your bonuses and extra points, so you know what you did well, and what not so much. I’m planning to put the game on Kongregate soon, so stay tuned! I’ve been hard at work in the last few weeks on improving the gameplay. “Remaining Books” now counts only ones which are not laying in a stack or on the ground, this means that you no longer have to worry about having a lot of stacks. 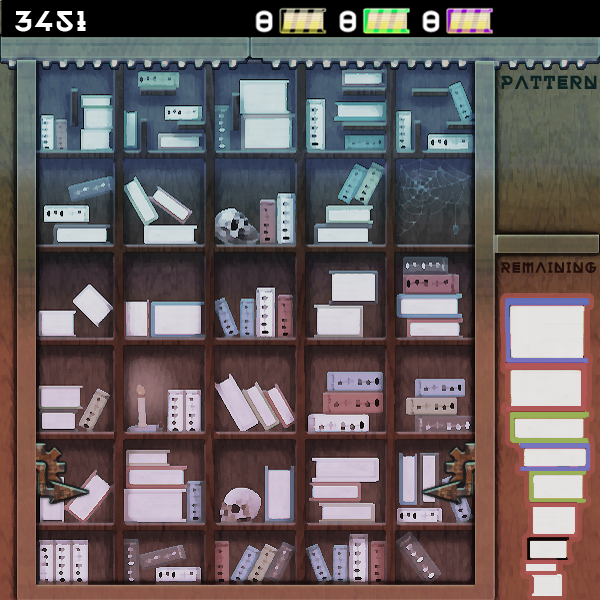 the stacking line will now be raised only if a stack of books has come combination of colors, in a sense similar to tetris. Unity has a 9-sliced sprite support in UI that’s very useful for resizing UI elements. 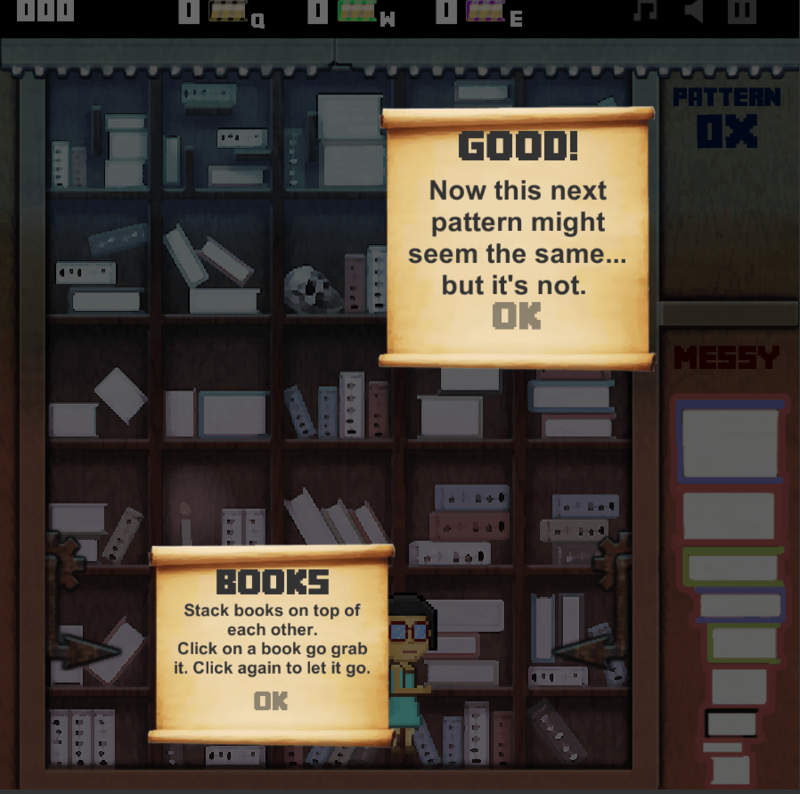 But, I couldn’t figure out a way to make use of that ingame, beside making the books UI elements (children of a canvas), but that sounded very wrong. So I implemented my own 9-sliced sprite support! With some support for drawing the lines that simulated pages in a book. 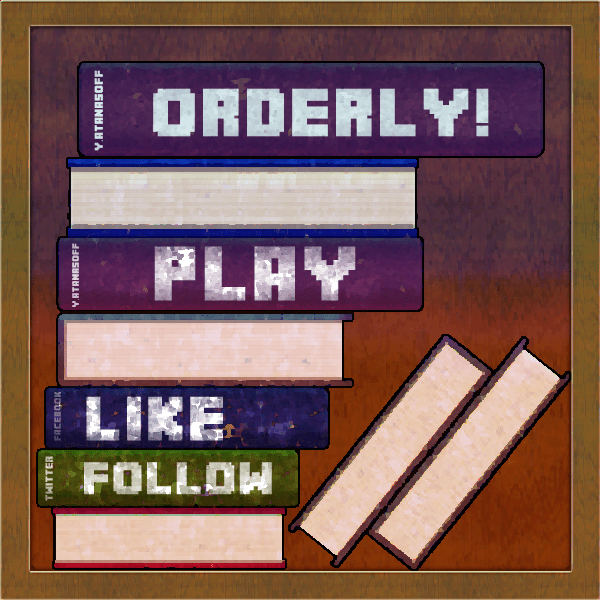 This allows me to have books of any size in the game without sqiushing or stretching the border( as shown above). That’s it from me for now, more updates will be coming soon.